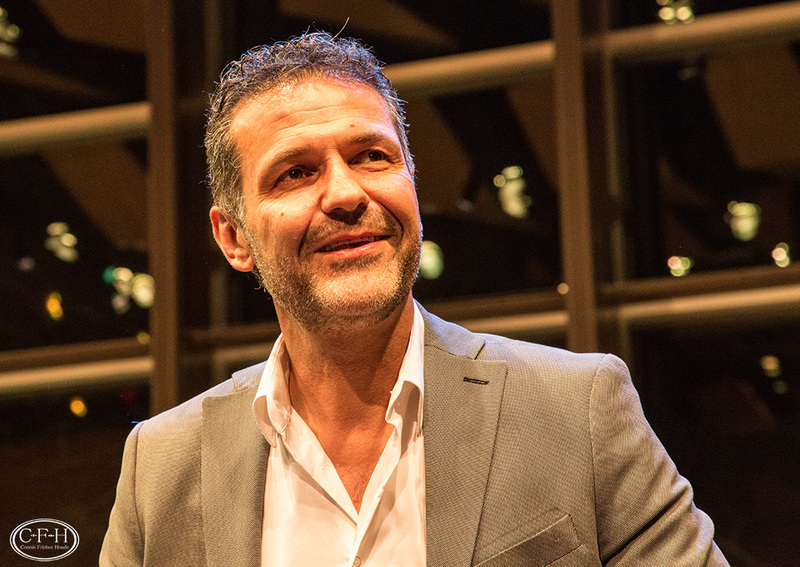 Last night we had the privilege to meet Khaled Hosseini who was interviewed by Joe Dohahue at the Arthur Zankel Music Center at Skidmore College. He was sponsored as a part of the Saratoga Reads program which selected And The Mountains Echoed as the book for the 10th year. A fitting selection considering that The Kite Runner had been chosen as the first book for the program. I was pleasantly surprised at how unassuming he is. 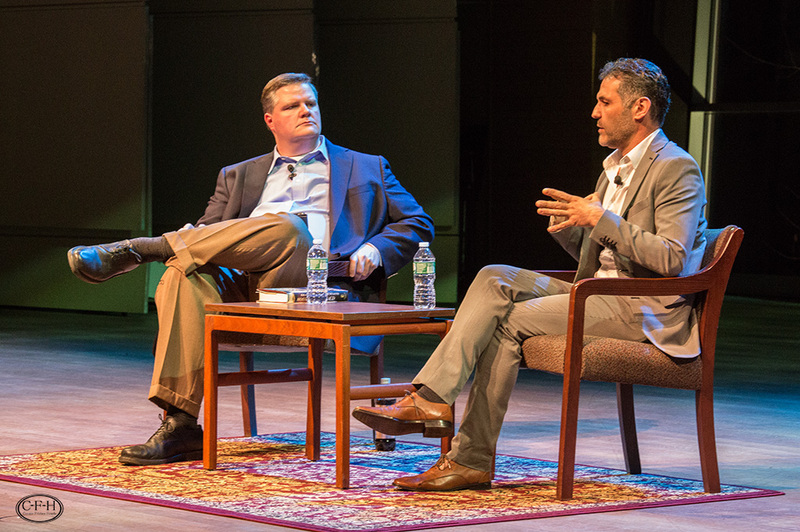 He spoke about how he works to write noting how The Kite Runner was clamoring to be written in contrast to the more difficult writing of his next two books. 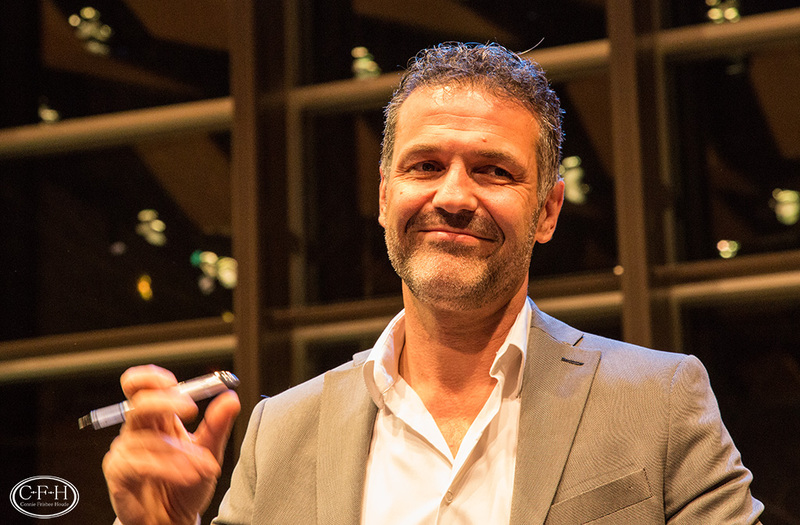 To me, Hosseini has opened many people around the world through his fiction to who the Afghan people are, bringing into our livingrooms the characters in his stories which represent real people and situations in Afghanistan. He spoke of being hopeful after the elections that took place yesterday. Reports are that over 60% of the population turned out to vote even with the threat of death and destruction from the Taliban. 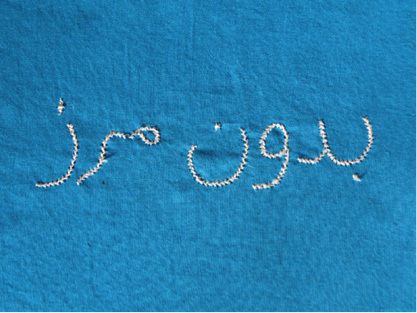 As these Afghan youth work for peace in their journey to smile they have created blue scarfs with ‘borderfree’ in English and ‘bedun-e-marz’ which is ‘without borders’ in Dari. In their words, “Borderfree is our collective wish as a human family to relate and work with one another in solidarity under the same blue sky, organizing ourselves as a strong 99%, free of borders so as to take care of our earth, build socio-economic equality for all, and abolish war.” http://ourjourneytosmile.com/blog/borderfree/ I had purchased the scarf from Kathy Kelly from Voices of Creative Nonviolence http://vcnv.org when she was recently here in Albany. Both my husband and friends encouraged me to go back up and give him the scarf…so I did. From the brief description I shared, he was touched and said he would treasure it. So a bit of Afghanistan has now gone full circle and returned to one of Afghanistan’s own. It was a humbling experience to let the Afghan Peace Volunteers voice be heard in this setting.